I hope you learned your lesson, Lisa. Never help anyone. At the front of our house was a grassy slope. It was difficult to mow, and the grass was always trying to grow out onto the sidewalk. Pine tree debris constantly rolled down the slope, littering the footpath. So, we built a retaining wall to solve all of our problems. Work on the retaining wall begins. Now, we have a professional landscaper in the family, which is useful at times like this. Mary kindly gave us good advice and lend us some very useful equipment, including a fancy laser level. 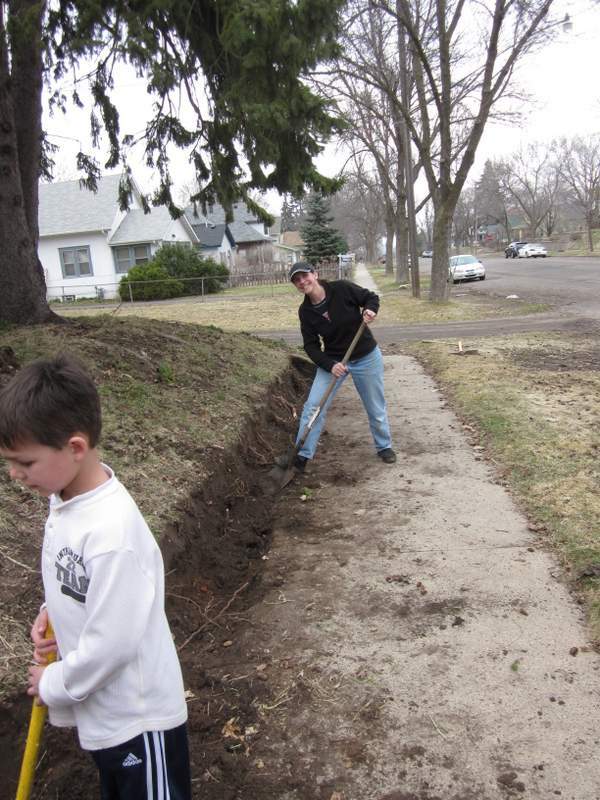 Not only that, she also pitched in to help dig the foundation trench, and lent us her nine year old son to use as child labor. 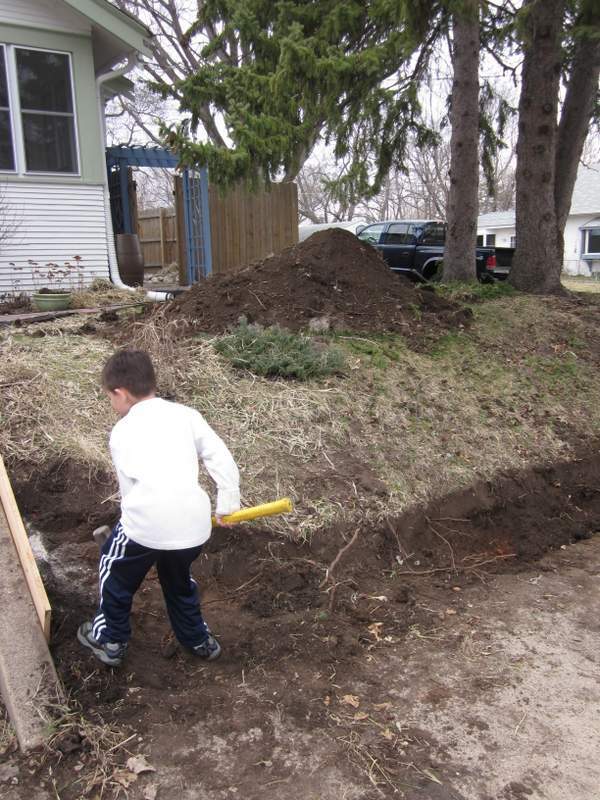 The most crucial part of building a retaining wall with concrete blocks is starting out right. If the first layer of blocks is straight and level, building the rest of the wall is just a matter of stacking up the blocks to the required height. When you start to dig the foundation for your wall, the first thing to check is whether or not the ground is level. If it isn’t level, find the low point. Dig the trench deep enough so that the first row of blocks will be below ground level at the low point. The blocks should sit on a four inch layer of paver base. 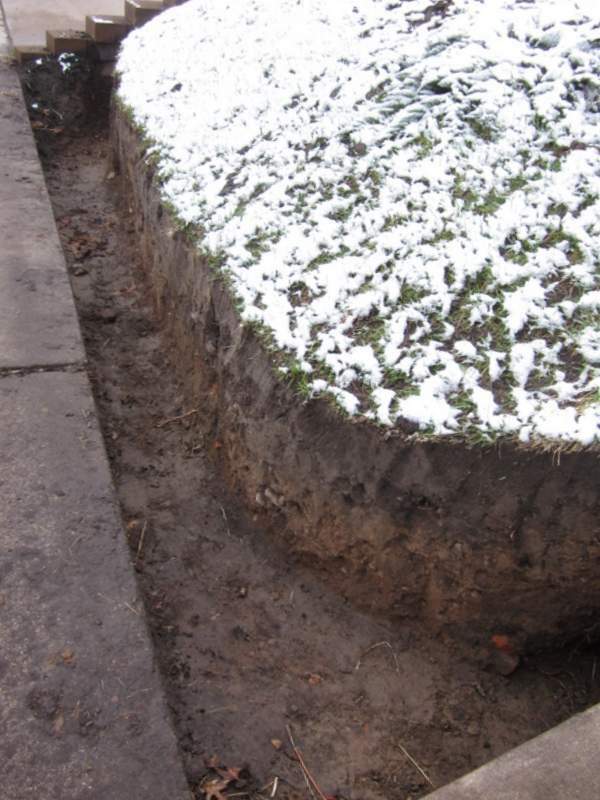 So, to work out the depth of the trench at the low point, add four inches to the height of a block. 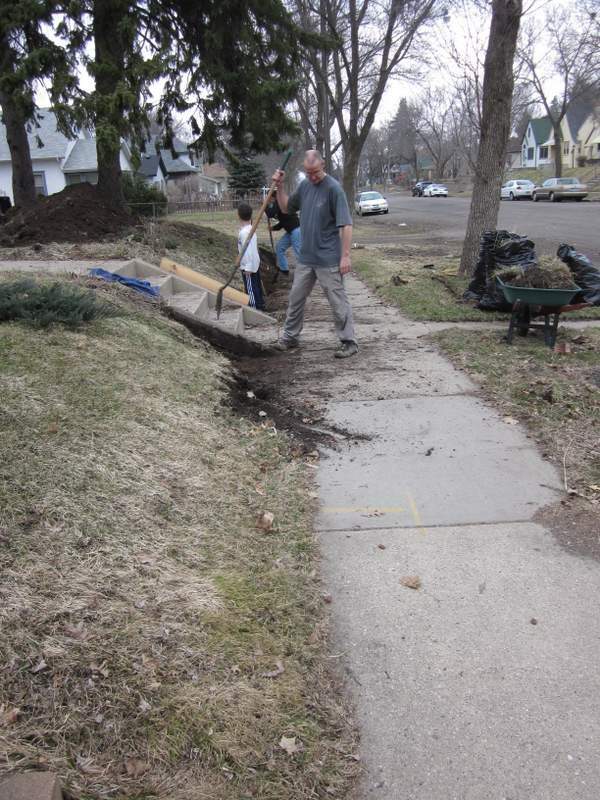 Dig the trench so that the bottom is level, and tamp it down. Pour four inches of paver base into the bottom of the trench, level it and tamp it down. Trench dug and ready to be filled. Once the base is level, lay the first block. Use a rubber mallet to set it in place. Level the block side to side and back to front, making adjustments with the mallet. With the first block is in place, run a builders line the length of the wall. The line should be run along the top of the first block at the front edge. Using a string level, adjust the builder’s line until it is level. Using this line as a guide, lay the remaining blocks for the first course. Get the bottom layer level and straight, and the rest is easy. You should then have a level straight base for your wall. Building the rest of the wall with interlocking concrete blocks is straightforward and fun. Pretty soon you’ll be sat on top of your new retaining wall enjoying a cool beer, or maybe that’s just me. 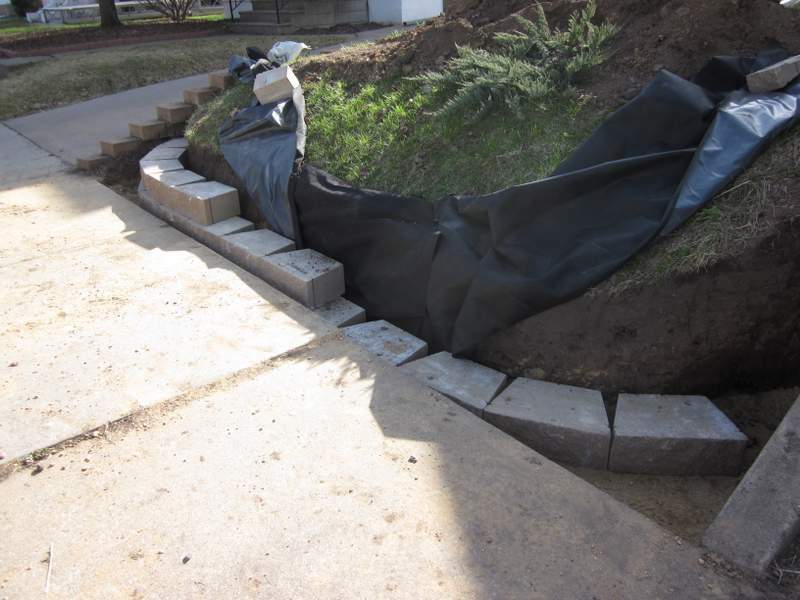 This entry was posted in Outdoor Building Projects, Yard & Garden and tagged retaining wall. Bookmark the permalink.